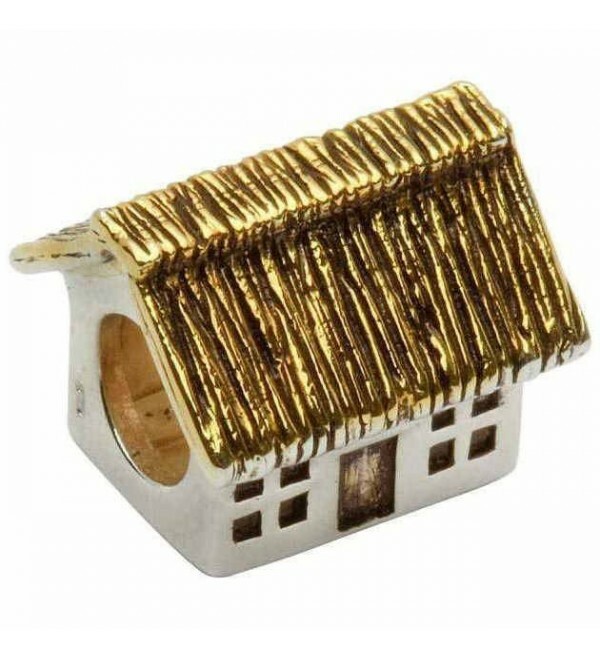 This exquisite little cottage - like so many found in the photographs of years gone by - can be yours - as a charming unique bead or as a reminder to take a breath in your busy day. In our fast paced and hectic world it seems like the simple pleasures of yester years are forever out of reach. The sweet contentment of rolling hills, a fresh meadow breeze, or the fulfilling satisfaction of a simple, well kept cottage are dreams that sustain many of us but so rarely appear in our everyday life filled with the constant emails, phone calls and demands on your time. Would you want a reminder of a simpler time? A chance to keep that dream of simplicity and the quiet life within reach? Now you can. This exquisite little cottage - like so many found in the photographs of years gone by - can be yours - as a charming unique bead or as a reminder to take a breath in your busy day. 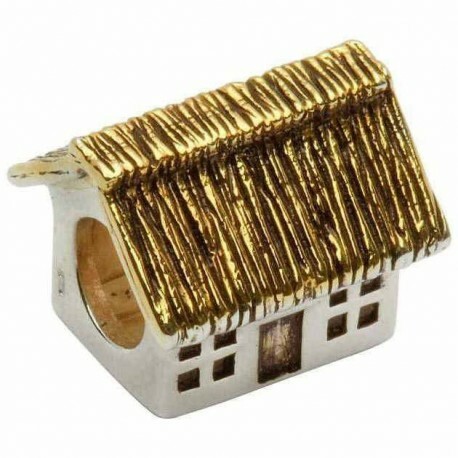 Crafted of sterling silver, the thatched roof resembles the sweet, warm coloring of straw with the 14 karat gold plating. Delicately etched and beautifully detailed, this bead from the Tara Diary collection is sure to bring you to that center of calm and quiet every time you glance at your wrist.